I took a morning flight from Hyderabad to Dehradun via Delhi. There is a pre-paid taxi stand at the airport, from where you can take a cab to Rishikesh. 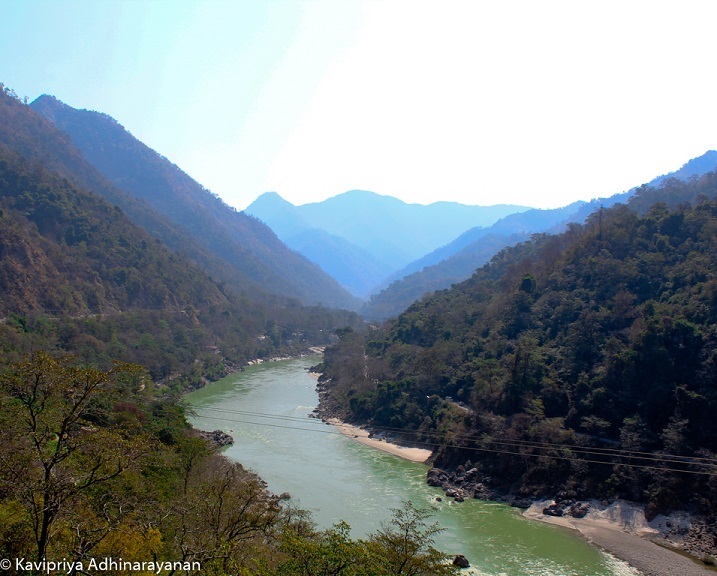 It takes about half an hour to reach Tapovan area in Rishikesh. After checking in at the hotel at around 2 PM, I went rafting. There are many offices in Tapovan which cater to this. You can also ask the staff at the hotel to arrange for the same. They pick you up from the hotel, take you till Shivpuri which is the starting point for rafting and also drop you back later. The activity takes about 3-4 hours and includes rafting (16 km), bodysurfing and cliff jumping. I spent most of the day in local sightseeing, covering Laxman jhula, Ram jhula and Goa beach. Rishikesh is best explored on feet, and moreover these places are not too far away from each other and from Tapovan, so I did not need a taxi. While you are at it, there are many cafes near Laxman jhula that provide great food at nominal rates, that you can try. Pick the ones with a river view to unwind and relax. This day was well spent at Jumpin heights, an extreme adventure zone less than an hour away from Rishikesh. Their office is in Tapovan from where you can take a shuttle to reach the jump zone. They have three adventure activities including bungee jumping. It took me about 5 hours (including wait time) to finish all three after which I took the shuttle back again to Rishikesh. This place is highly recommended, and it is better to make prior reservations, especially for the bungee. You can find more details here. I rented a two-wheeler for half a day (You can easily spot bike rentals all around Tapovan) and went around the hills, looking for serene views. I found quite a few of those, where I spent some time relaxing and clicking pictures. I checked out from the hotel after lunch and took a cab to Dehradun. I then flew back to Hyderabad, again via Delhi. Welcome to Experimental Explorer! 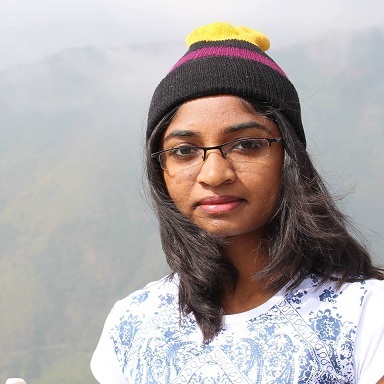 My name is Kavipriya and I’m a travel and photography hobbyist. I will be sharing my travel experiences, stories, itineraries and photographs here. I mostly do solo, budget travels to quaint and serene places in India. All rights reserved. Unauthorized use of the contents of this page is strictly prohibited and is a punishable offence.